This replacement derailleur hanger fits all Felt road frames and canti brake equipped cyclocross frames. It includes an optional secondary bolt for additional reinforcement on new Felt frames, but is back compatible with older one bolt systems too. CNC-machined 7075 with stainless hardware. 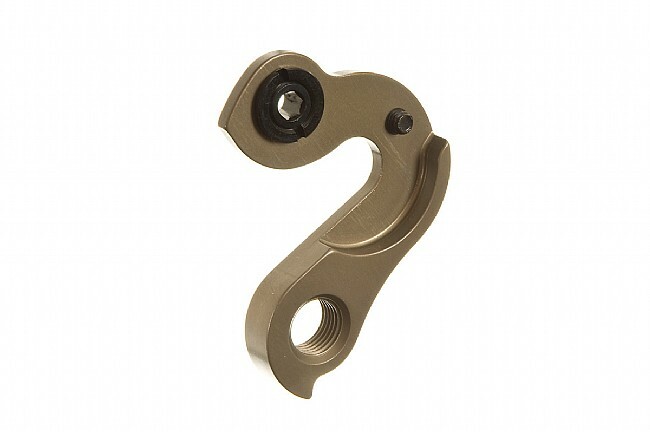 The Felt Road Derailleur Hanger (2-Bolt) is available in Hard Anodized Black.